A couple of weeks ago Britmums and Love Cravendale offered to send us on one of Cravendale's activities. Love Cravendale let you gather coupon codes on their milk bottles and swap them for activities such as bowling to swimming. We chose to go and visit Portsmouth's Historic Dockyard. 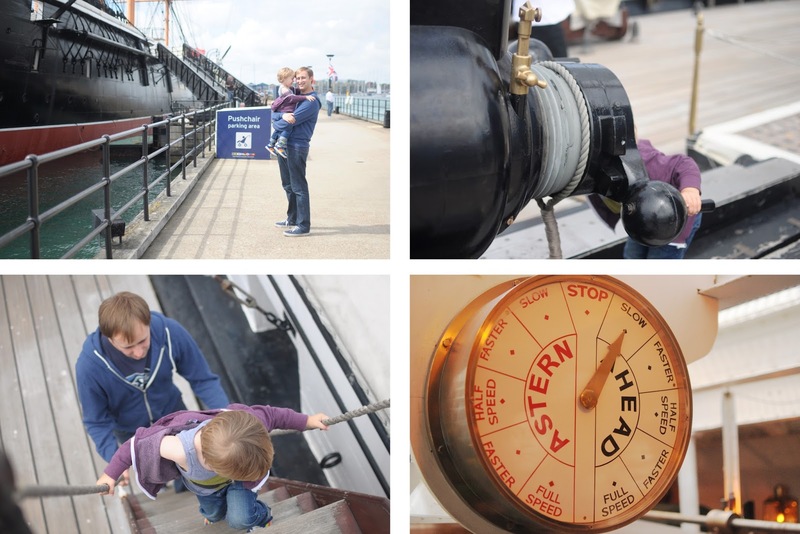 Scott has lived in Portsmouth most of his life but has only visited once and I thought it was a great day out for all of us to enjoy that was completely different to the normal trips to the farm. 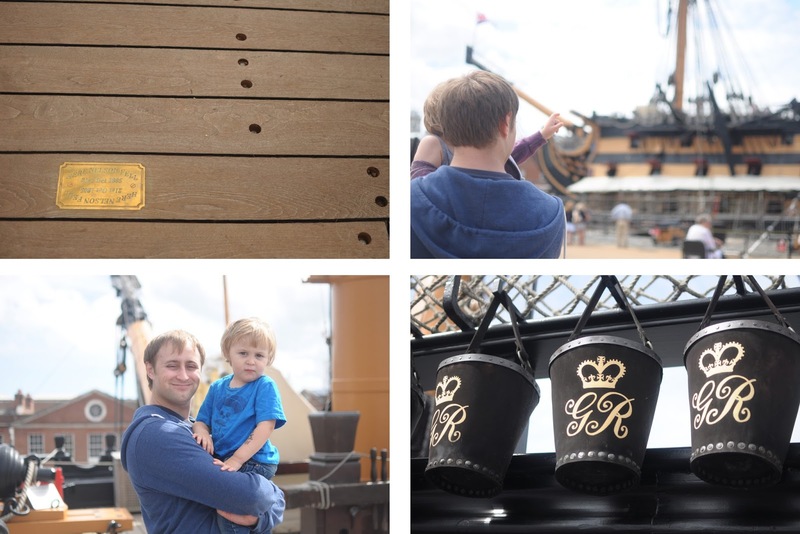 After whisking through the entrance and picking up our tickets we swiftly went and visited the HMS Warrior. Max was loving running up and down the deck, climbing the stairs and pretending to be a pirate (I didn't have the heart to tell him that pirates never went on this ship!) Me and Scott found it fascinating and so informative but Max got a bit distracted with some of the more adult/educational bits which I understand as he's only 2.5! Next of all we headed to the Dockyard cafe to get some lunch. It was pretty busy which was expected for a Sunday. Max picked up a lunch box and me and Scott got jacket potatoes. It was pretty expensive for what we got (nearly £20!) but was scrummy and filled us up for the rest of the afternoon pretty much. Next we headed to the Mary Rose Exhibition. It was fantastic. Definitely not as interactive for the little kids as there was lots of glass cabinets of artefacts that have been found. 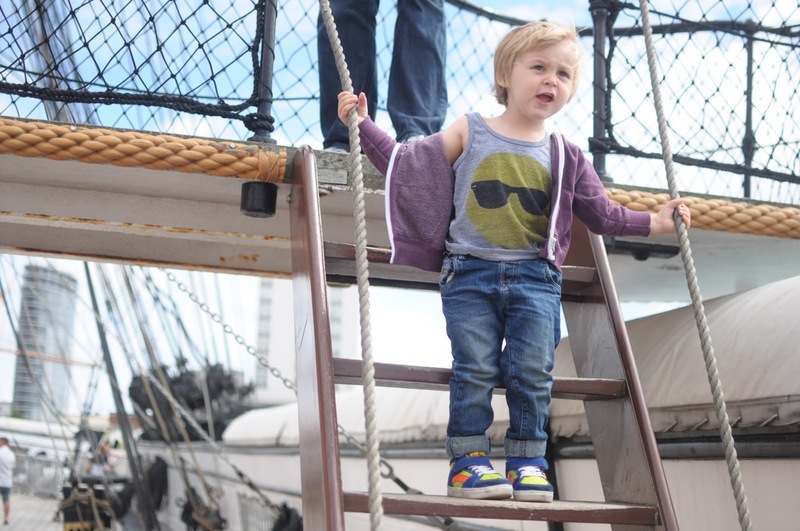 Max did however love looking at the boat remains and using the touch screens to watch interesting videos about the people and objects on board. We found it amazing. I couldn't believe how much was still intact on the boat. 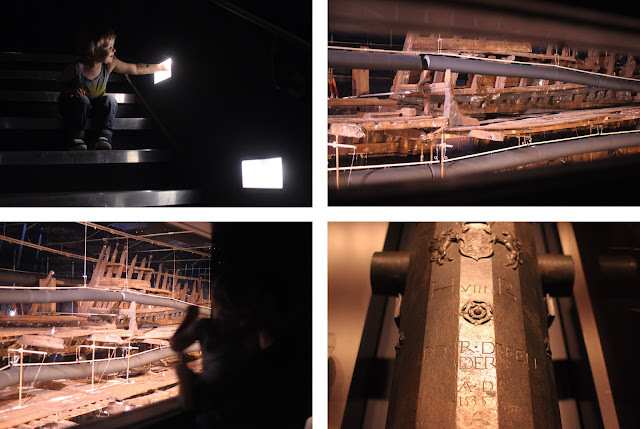 I also loved the fact that there were small windows throughout the exhibition that you could look through to see the boat. We then stopped and Max had a snack whilst we decided where to go next. 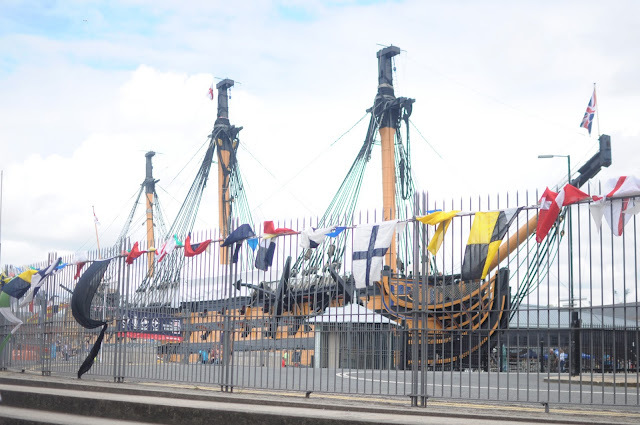 Then the HMS Victory took our eye and we thought it was the best place to head to next as the big ships were more of an appeal to Max than the museums. Victory was the ship that Nelson was killed on and I was surprised how amazing the ship looked. You forget how much effort was put into them when you compare it with a cruise ship today! The ceilings were low, the stairs steep and everything else seemed incredibly grand. We all enjoyed it! By this time though, Max had ruined his top, he was tired and we decided the best thing was to head home. After all we had been there for hours and it was such a long day. Thank you Love Cravendale for taking us on this fabulous day out. It's amazing what you can find in your hometown or thereabouts. It was also great to try something different. We are also heading back at the end of the month to attend Victorious Festival. 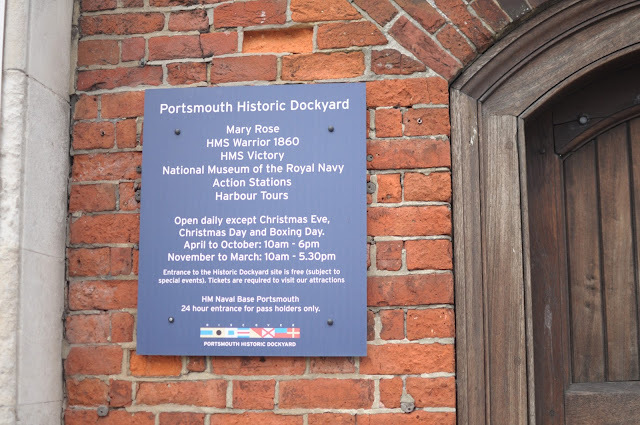 Best thing about paying to attend the Dockyards is that your ticket is valid for the whole year! We were gifted this trip for review purposes only. All opinions are my own.